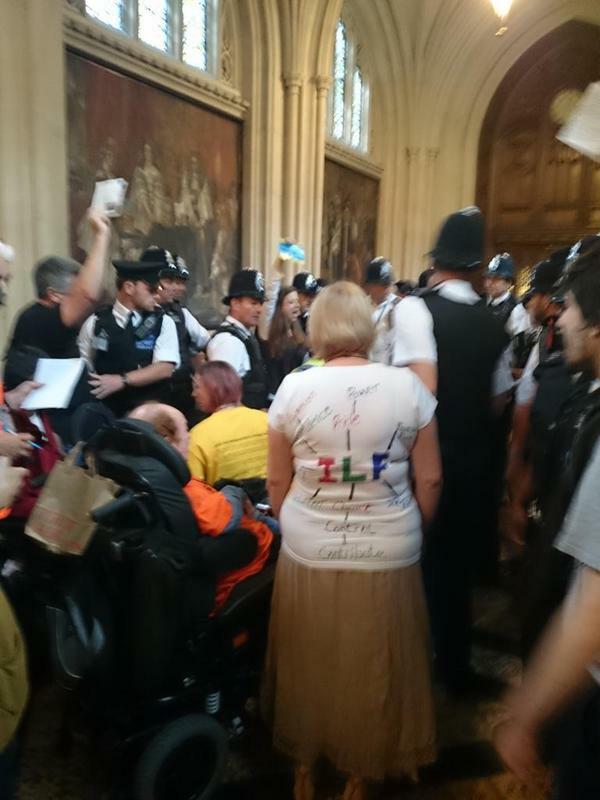 Today (24th of June) severely disabled people who are set to lose their Independent Living Fund support in just seven days time along with protesters from Disabled People Against Cuts staged a protest inside the House of Commons Lobby, and attempted to break through into the commons chamber and almost succeeded in interrupting Prime Ministers Questions. The police response was at first confused, and then described as “rough” but none of the protestors was reported as being hurt and there were no arrests reported. 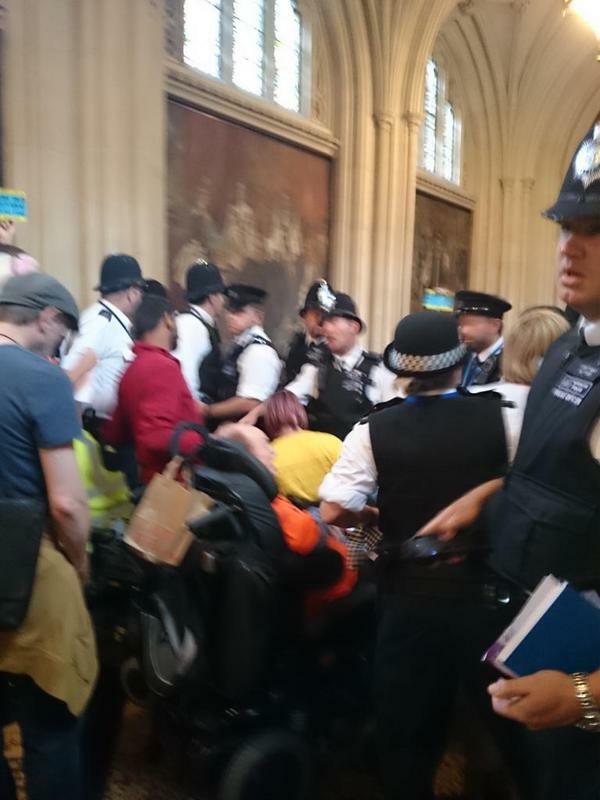 After leaving the House of Commons, the protestors continued to block roads around Westminster. 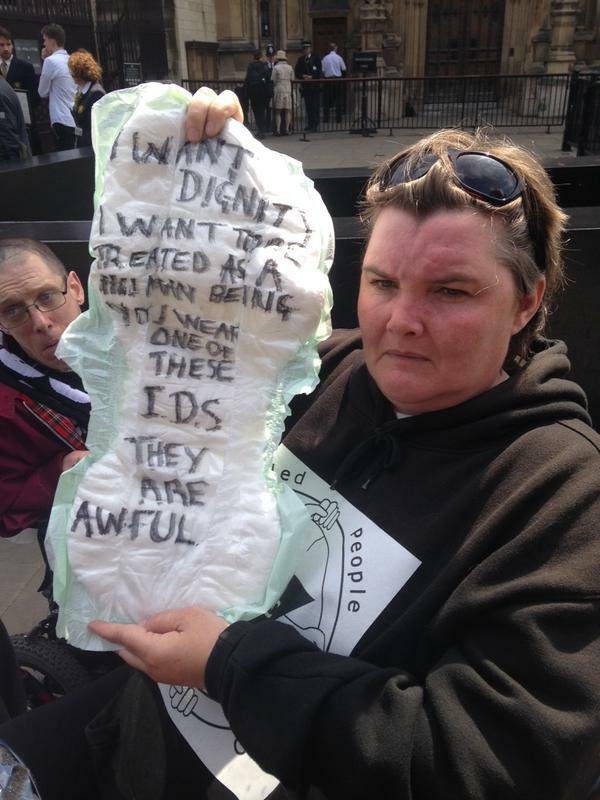 Well done to all involved in yesterdays protest at Westminster.It certainly made an impact and hope it brought the fight to keep the Independent Living Fund to the attention of many more of the people.You should be proud.Keep up the good work. Fantastic achievement DPAC. Wish I’d been there! let’s all lobby our MPs by sending them these videos. Its way past the time that they listened to us and took us seriously.SadlyI think we are going to have to ratchet up the pressureand keep making demonstrations. They are underestimating us if they think we will just lie down quietly and take the cruelty the DWP loves to dish out. How fantastic! Well done to everyone who took part. The wealthy leadership are sociopaths to demand austerity from even this most disabled group of citizens. Why? So the wealthy can have fancier watches, cars and mistresses? Shame. Thanks. Your solidarity has cheered me up. Also, your analysis is absolutely spot on! 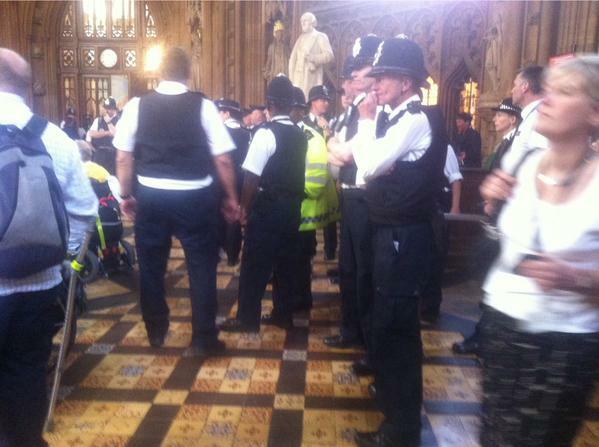 So sad that I was not alongside the brilliant show of strength at House of Commons. Congratulations for the great work done here. It is time the current government understood that they cannot bully disabled people and compromise their independence and welfare. I see, Cameron has nearly backed down on the elusive mortality statistics at the DWP. This protest had great impact far and wide. I am so glad that there are many brave people willing to stand up for what is right. 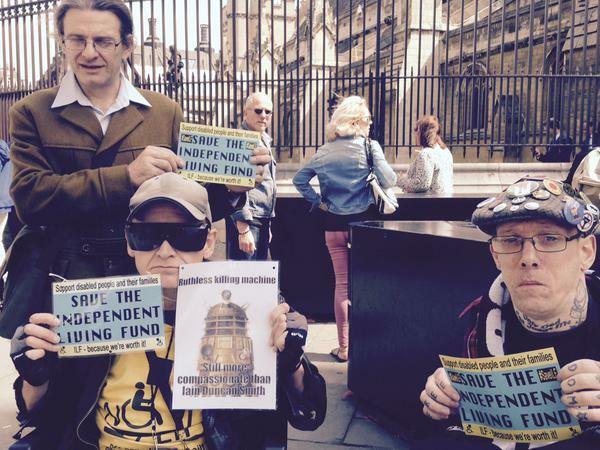 The ILF will survive in devolved Scotland because of the SNP. 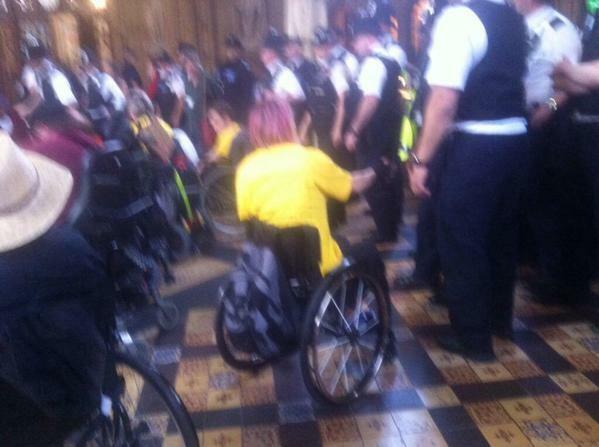 Time for the English and Welsh needing the ILF and losing it, to move to Scotland. Perhaps Plaid Cymru can achieve Scotland’s level of Devo Max and keep their welfare devolved. Ulster has rebelled at austerity cuts. Sinn Fein was at the June 20 anti austerity march. Ulster is the sole UK nation that has escapted the flat rate pension law, that leaves the over 40 per cent of over 50s who are disabled / chronic sick with less state pension and loss of Pension Credit (savings), on top of the loss of disability benefits, that might be taxed at source next.